No complex displays or controls. A flashing green STATUS light indicates the HeartSine Samaritan is operational and ready for use. The HeartSine Samaritan PAD prompts you both visually and audibly with clear, calm instructions. Starting with Adult Patient if equipped for adult Pad-Pak, and Child Patient if equipped with Pediatric-Pak. Other prompts instruct users throughout the rescue process, while reminding users to call for medical assistance. The system then guides the user through pad application to shock delivery, if required. 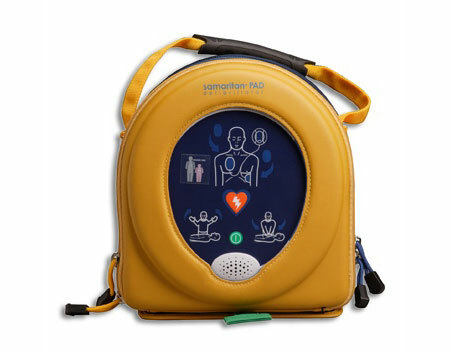 A CPR tone and flashing icon coach the rescuer in delivering chest compressions according to ERC 2005 guidelines -100 compressions per minute for 2 minute intervals. 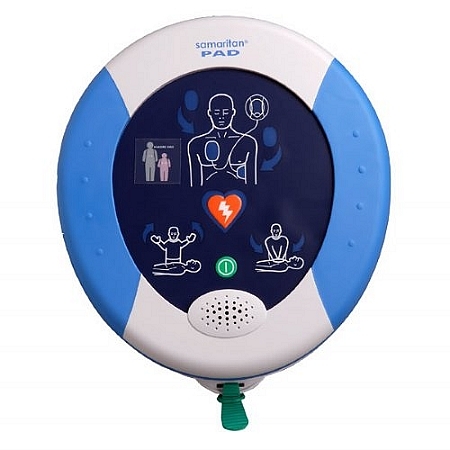 HeartSine Samaritan PAD TRAINER incorporates eight training scenarios. A PAUSE button allows unlimited time for explanations and enhanced training without interference. 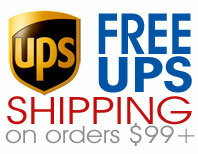 Units are rechargeable, volume adjustable, and can be programmed in five different languages.